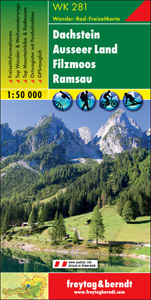 Salzburg is the place to start this trail, and after a long summer of hiking, you will return here. Of course, there are many other good places to start this trail. The trail is very varied. Rural areas are passed as well as high mountain scenery. 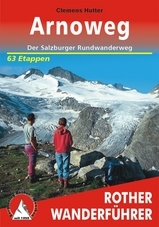 The trail makes a round tour in the whole of the Salzburgerland. Yes, you will get to see most of the Hohe Tauern, including breathtaking views of the Grossglockner and Grossvenediger. This does not involve climbing and only a few easy glacier crossings, but you do reach a height of more than 3000 m on one occasion. Second highlight are the spectacular Northern Limestone Alps, including Steinernes Meer. Walking this trail means you must be really fit and surefooted. It is not a mountaineering expedition, but it does leave the easy track. The entire trail is well documented and marked. Home page of the Arnoweg. User-Blog with lots of great images and good descriptions of the stages.